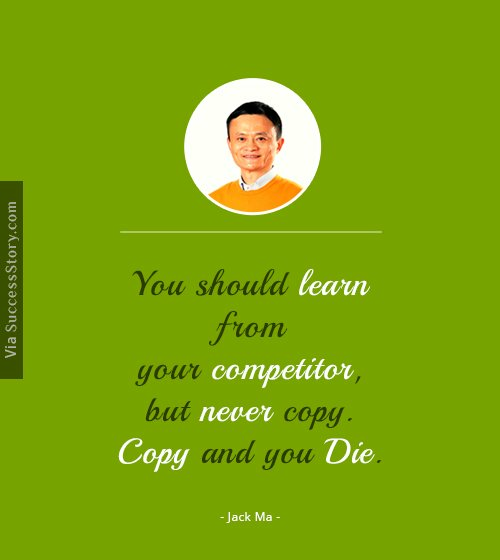 Who would have thought that “crazy Jack Ma” would one day head China’s largest e-commerce business, known as Alibaba Group. The former English teacher, Ma was rejected by several employers in China, including KFC. 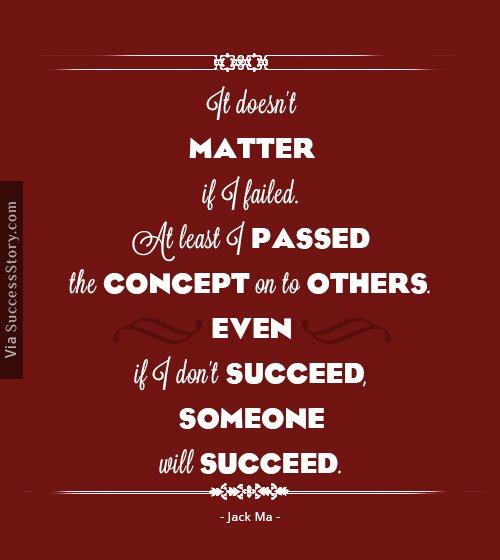 He believed that the Internet could be used for business at a time when even the concept was unheard of. 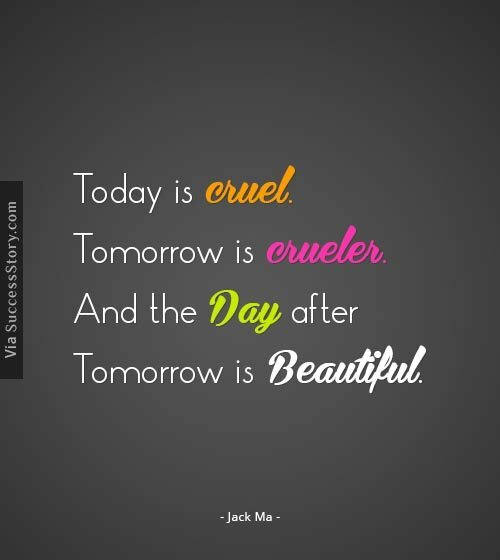 "If you want to grow, find a good opportunity. 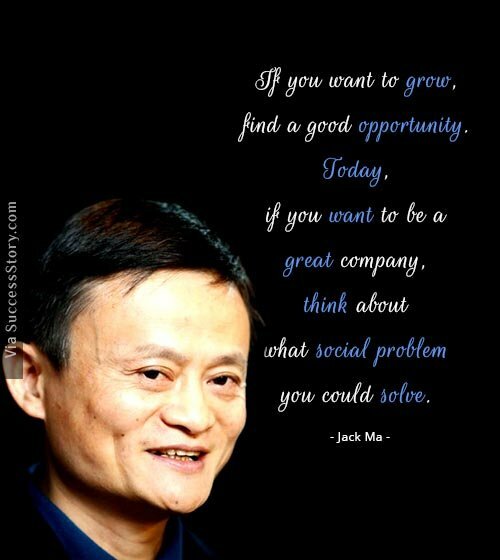 Today, if you want to be a great company, think about what social problem you could solve." 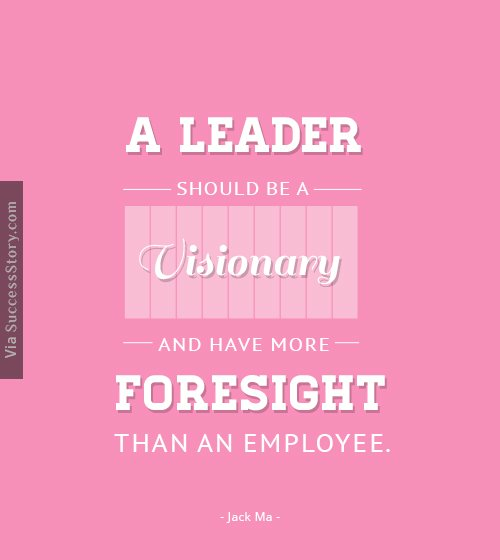 "A leader should be a visionary and have more foresight than an employee." 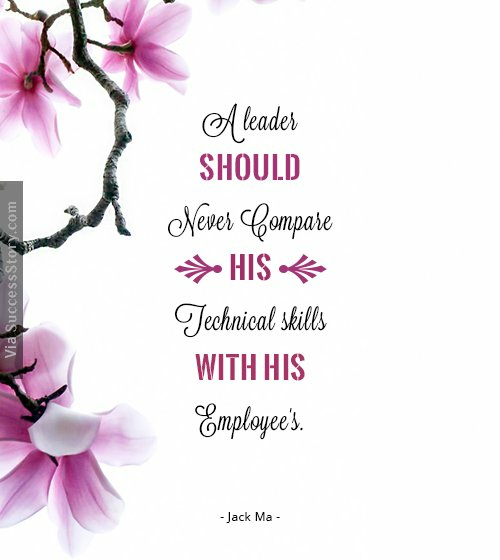 "A leader should never compare his technical skills with his employee's." 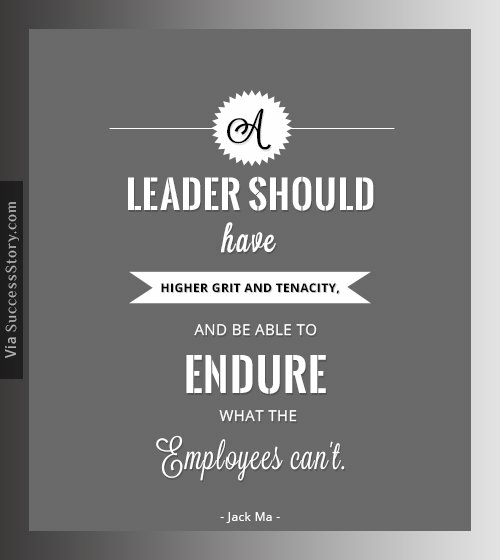 "A leader should have higher grit and tenacity, and be able to endure what the employees can't." 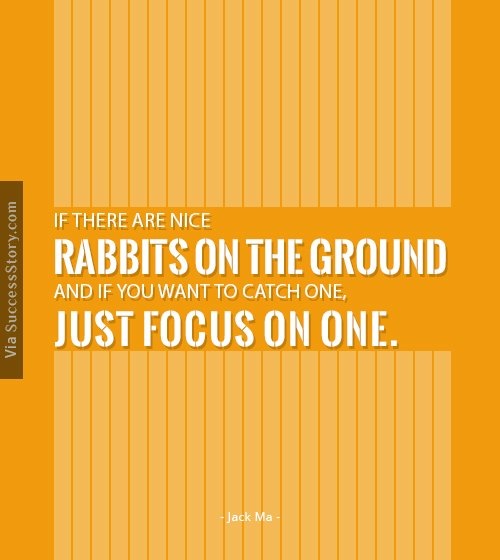 "If there are nice rabbits on the ground and if you want to catch one, just focus on one." 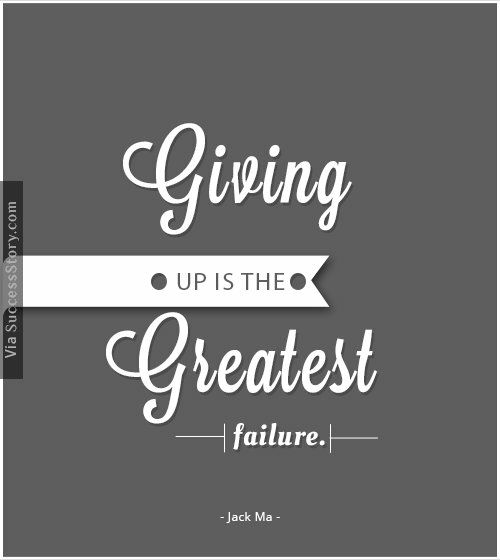 "Giving up is the greatest failure." 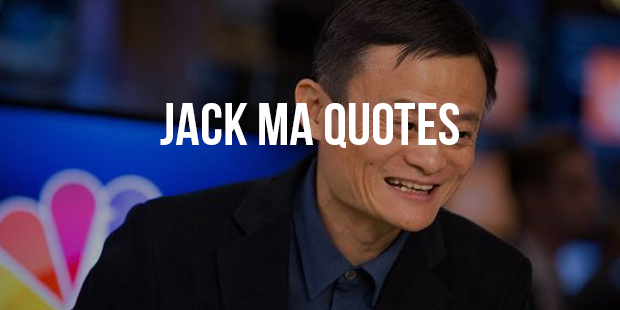 "If we go to work at 8 am and go home at 5 pm, this is not a high-tech company and Alibaba will never be successful. 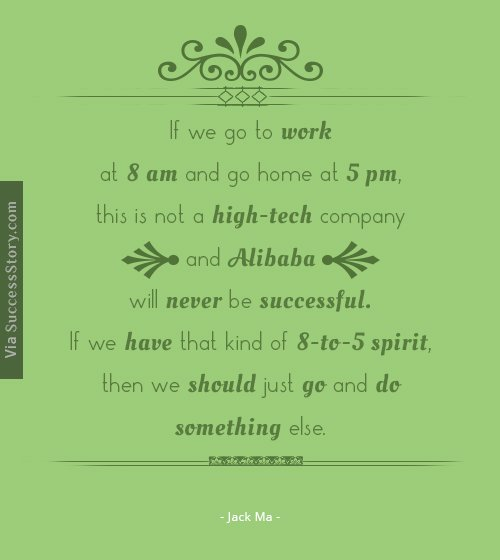 If we have that kind of 8-to-5 spirit, then we should just go and do something else." 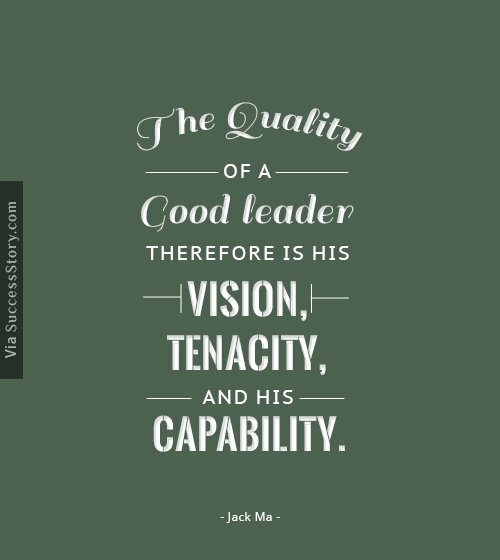 "The quality of a good leader therefore is his vision, tenacity, and his capability." 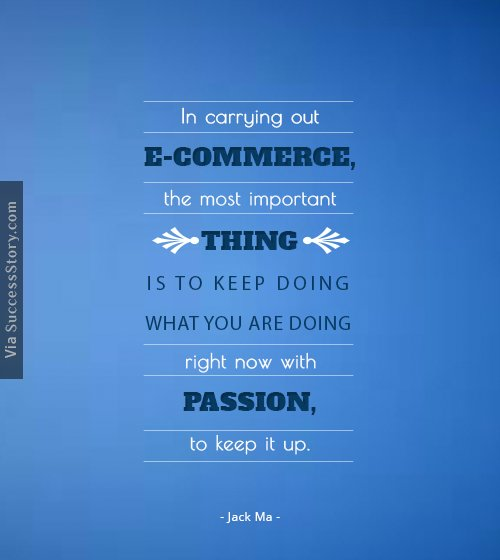 "In carrying out e-commerce, the most important thing is to keep doing what you are doing right now with passion, to keep it up." 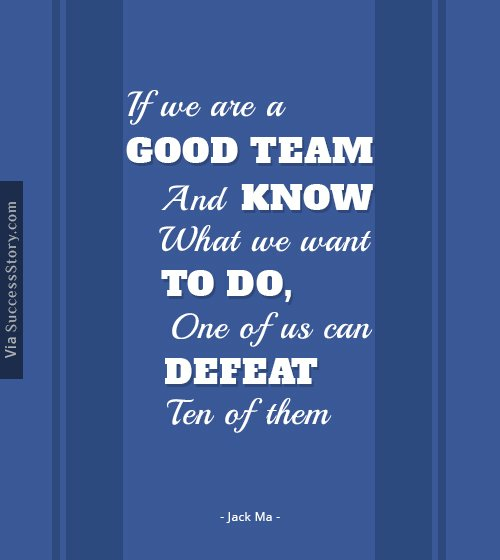 "If we are a good team and know what we want to do, one of us can defeat ten of them"
"We will make it because we are young and we will never, never give up." 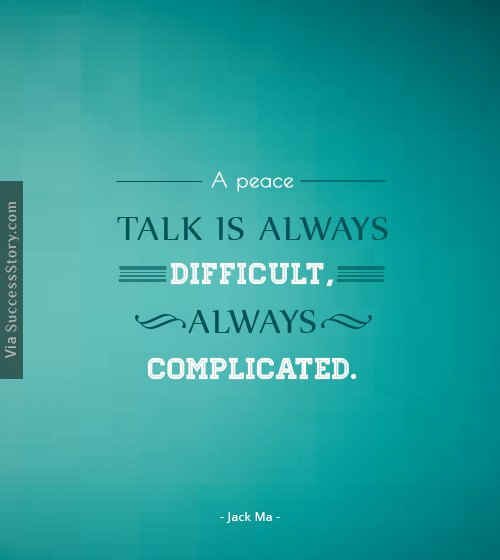 A self-made man, Ma had accomplished enough for several lifetimes. He is the first Chinese entrepreneur to appear on the cover of Forbes. He was named in the Time 100 list of world’s 100 most influential people in 2009. 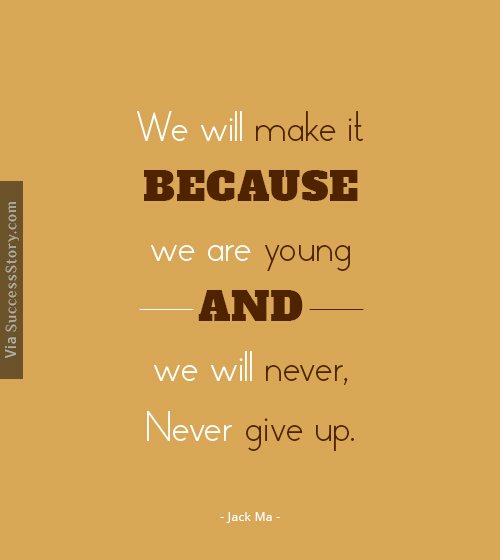 Educated at Hangzhou Normal University, Ma was never the one who gave up. Despite being labeled an eccentric all around and failing the national college entrance exams twice, he did not stop believing in himself. His proudest moment arrived when he was able to log on to the Internet at his house using a slow dial-up connection. He finally proved to his friends in China that Internet existed. Married to his college sweetheart Zhang Ying, Ma is an active philanthropist and has been an Internet icon for many years.